Company: The Third Floor, Inc.
Avengers: Infinity War was a mammoth project with teams working in multiple locations, all under maximum secrecy and security. Shot quotas were ten per week, but the level of detail and polish was high due to it being a tentpole Marvel Studios film. 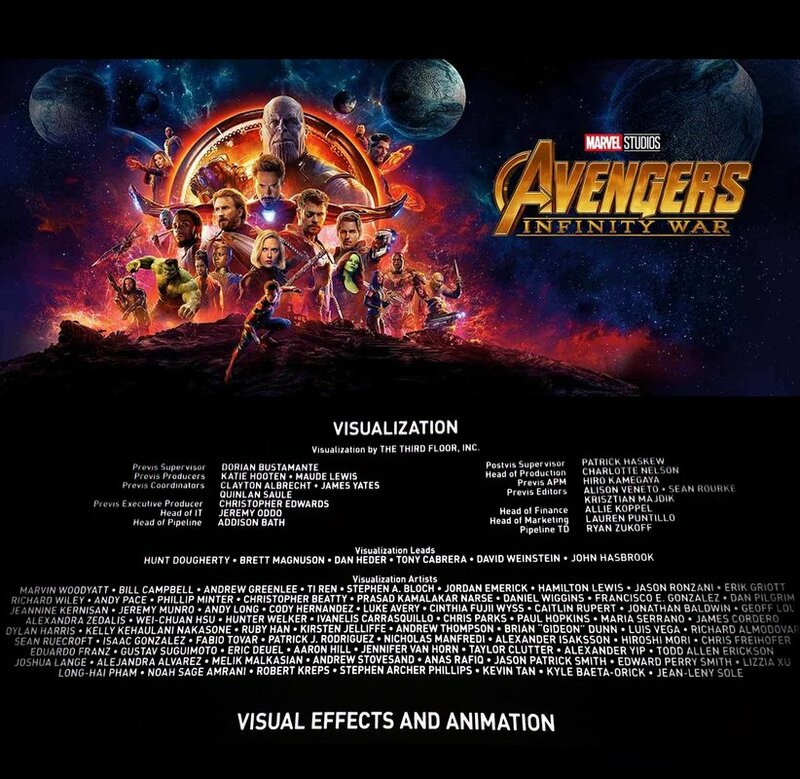 Working on another Avengers movie had the benefit of being familiar territory, for me so my focus was on learning and incorporating as many new After Effects workflows and tools as quickly as I could. Having worked on postvis shows where I was mainly handling Maya animation and rendering, developing a base of After Effects knowledge took some time and had more growing pains than I would have preferred, but being on a team that focused on working hard, helping each other, and having lots of laughs, it set a new standard of performance in me that I have built upon since. Seeing the crew screening at the Fox Theater in Westwood Village was its own reward as well, with Executive Producer Victoria Alonso giving her traditional speech beforehand. April 25, 2018. Crew Screening at The Fox Theater in Westwood Village, near UCLA. Fantastic night.